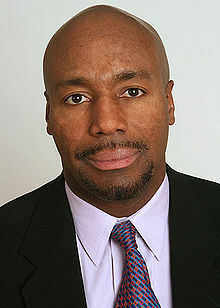 In our first hour, we'll talk with leading criminal law scholar, Paul Butler, a Harvard Law School graduate who gave up a corporate lawyer's salary to become a federal prosecutor--until he was arrested and charged with a crime he didn't commit. In our first hour, we’ll talk with leading criminal law scholar, Paul Butler, a Harvard Law School graduate who gave up a corporate lawyer’s salary to become a federal prosecutor–until he was arrested and charged with a crime he didn’t commit. Paul talks about his experiences on the other side of the criminal justice system and his new book, Let’s Get Free: A Hip-Hop Theory of Justice.